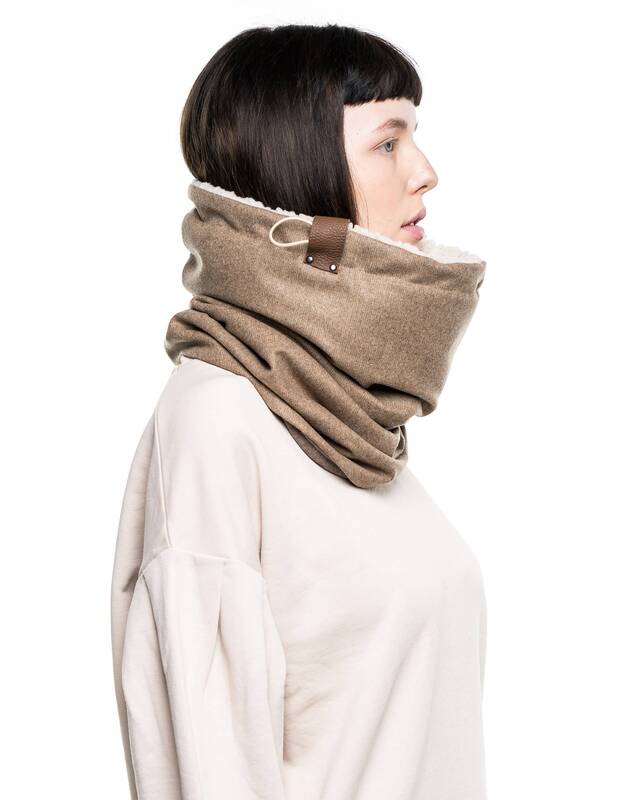 Keep your loved one or yourself extra snug this winter with a cowl scarf that is designed to keep the heat in very efficiently. Inner lining: Lined with 2 different materials. 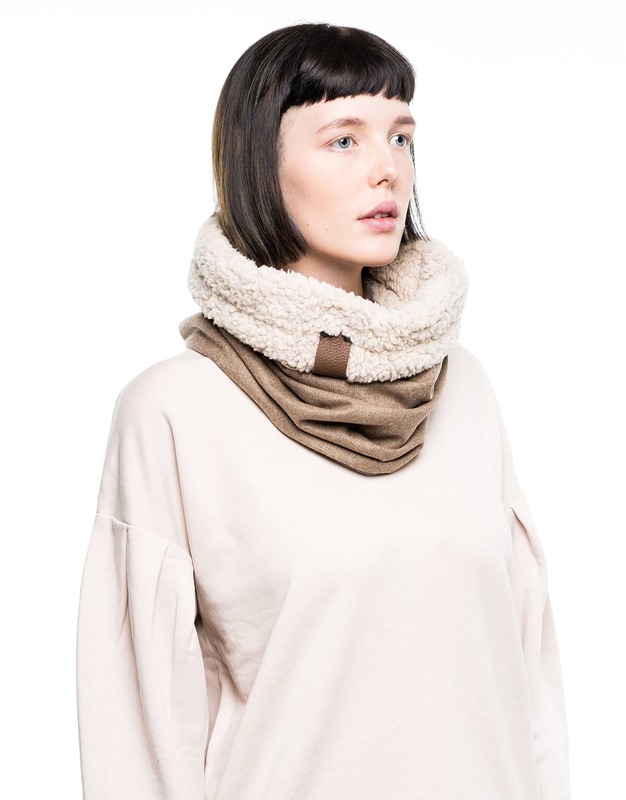 Top half: extremely soft and cosy off white/natural faux lamb that looks great when folded over. Bottom half: Nice, soft and thick cotton jersey in a light rustic brown melange. 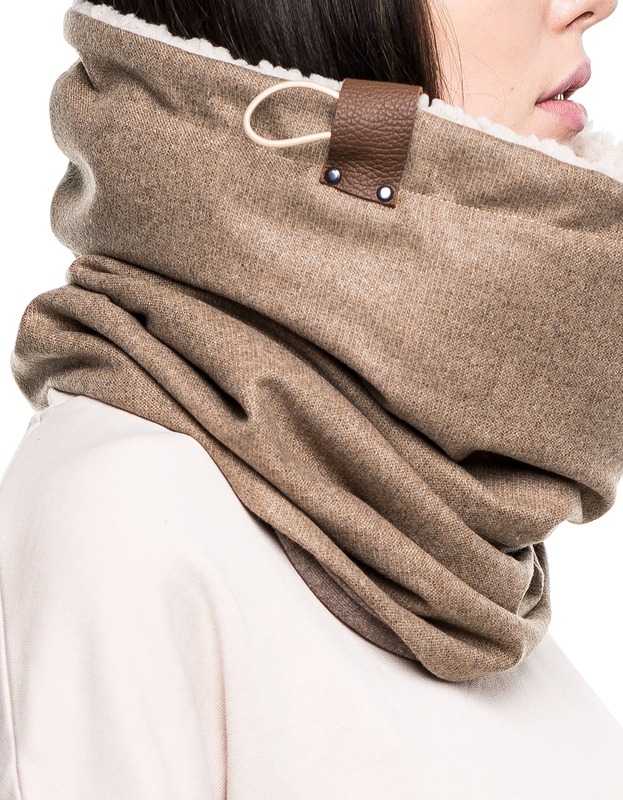 Can be used as the top half in warmer weather. beautifully made, speedy delivery, thank you. 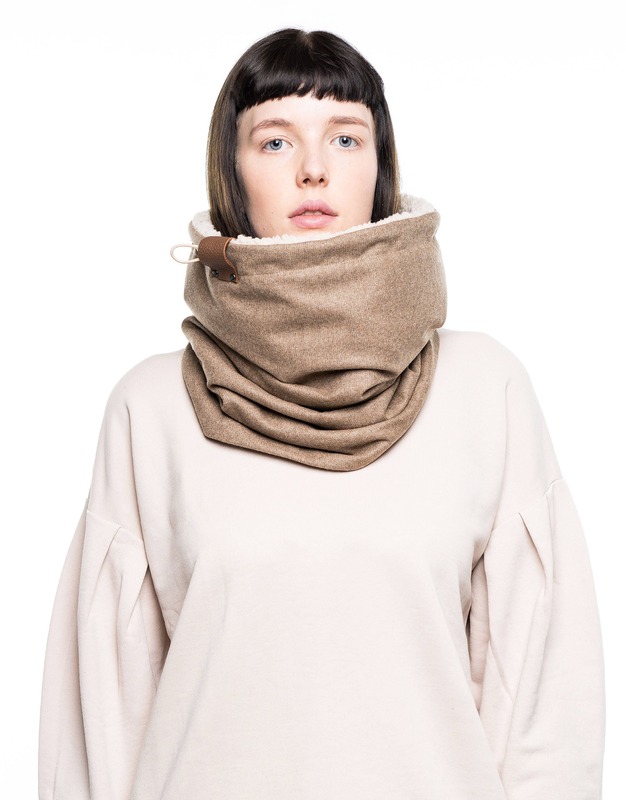 super warm, soft and perfectly wonderful to wear.